If you can't find what you are looking for, or want to commission a special piece, we offer a very popular in-house bespoke design service. Simply give us a call to discuss your ideas or click this link to email us or to make an appointment. Remodelling unworn or a group of inherited items into new designs is another popular and very economic way to completely revitalise your jewellery. In either case you can take part in the design process, which customers tell us they thoroughly enjoy. 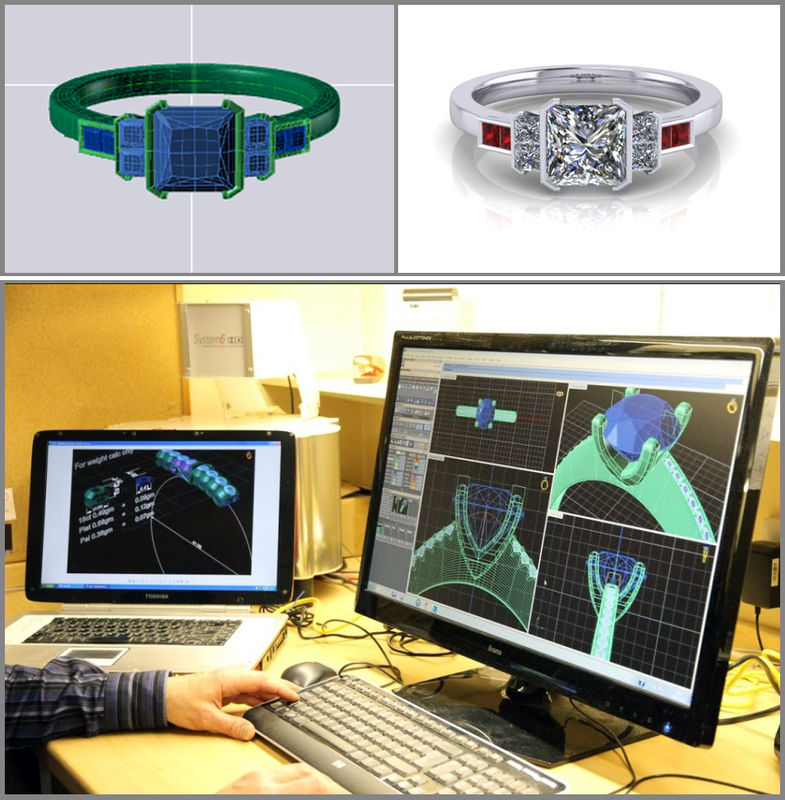 As jewellery design specialists we combine high quality traditional craftsmanship with the latest CAD CAM technologies so you can actually view your new design as a beautifully rendered photograph as well as in 3D before we turn your ideas and dreams into fabulous real pieces of jewellery. If you are initially unsure about your preferred style, our latest computer package incorporates over 2000 pieces to provide inspiration and an infinite number of design possibilities. So by combining our high quality traditional expertise with cutting edge design and production we can create anything from a bespoke engagement ring, matching shaped wedding or eternity ring, to freeform designs in fact anything you can imagine. Please feel free to visit or call to discuss your requirements and ideas. To view our exclusive Edward James designs including bespoke items previously made, click here.